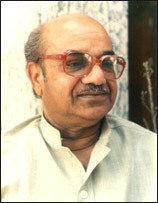 The school is named after Late Shri Sat Paul Mittal M.P. He was a founder president of Nehru Sidhant Kender Trust. The Late Shri Sat Paul Mittal was a great social reformer and political activist who was particularly interested in the upliftment of the Indian youth. He was an excellent orator, a keen debater and a widely travelled person. Essentially a man of the masses, he worked selflessly for the upliftment of the weaker sections of society and reached out to them for their amelioration. Committed to the cause of education, he initiated various scholarship programmes for the poor and meritorious students. Sh. Mittal took upon himself the undaunting task of tackling the problem of population facing the country and made it a people’s movement. Always alive to the ground realities of unchecked growth of population, Sh. Mittal assiduously worked for fostering the cause of population stabilization. His efforts received well deserved recognition internationally when the United Nations Secretary General awarded him, the prestigious United Nations Peace Medal in June 1987 for his outstanding contributions in the field of population and development. He was no less concerned about the apartheid problem in South Africa. He had unflinching faith in the common destiny of mankind and had successfully endeavored to foster convergence among different political parties and religious faiths on the issues concerning human survival. Sh. Mittal has indeed left behind a remarkably rich legacy of his contributions to be fondly remembered and cherished by one and all.